Top 20 Past Projects | OSUIT School of Culinary Arts "Pop-up Restaurant"
OSUIT School of Culinary Arts "Pop-up Restaurant"
What's new at OSUIT School of Culinary Arts? Are you a fan of the Bravo Channel "Top Chef" Restaurant Wars Episodes? The students in Contemporary Restaurant Class will have a similar "Pop-Up" Restaurant" experience to share with you! Students will create their own restaurant from the ground up! 1. Students will conceptualize a restaurant, complete a market analysis, write a business plan including preliminary cost, and pitch their project to an investor for financing. 3. Identify characteristics of effective leaders, restaurant management issues. Students will demonstrate proper FOH and BOH techniques. 4. Students will identify important aspects of purchasing including choosing vendors, ordering and receiving procedures, and credit policies. 5. Students will determine dining room and kitchen design/layout for maximum efficiency during service. This includes FOH décor. 6. Demonstrate working knowledge of alcohol and health department expectations, laws, and licensing. 7. Students will display proper food handling and sanitation techniques, apply necessary cooking methods, and produce recipes to set standards in preparation and presentation. 8. Identify legal issues regarding taxes, insurance, human relations, recruiting, interviewing and hiring. 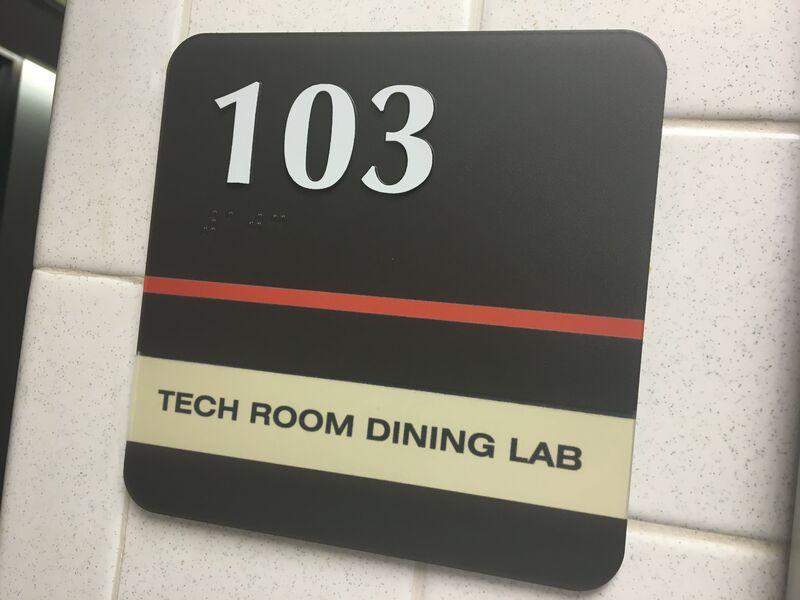 Our Goal is to raise $2500 and transform the "Tech Room" into a "Pop Up" Restaurant concept in the evening for finals week! The funds raised will allow the students to transform the current space representative of their concept for the pop-up restaurant week. They will be allowed to design and build everything from layout, decorations, menus, wall covering, table settings, etc. to support their concept. The OSUIT School of Culinary Arts is committed to creating new and engaging experiences for our students. We are excited to offer a series of elective specialty courses that explore different topics. The second half of the Fall 2017 term, we are offering CUA 2213 Contemporary American Restaurant. This is an exciting class which will allow students to design, build, execute and evaluate a restaurant concept from the ground up. What better way to learn how to open a restaurant than to actually do it. Students will meet throughout the course to come up with a concept and design menus and operational procedures to make it happen. The last week of the course, the students will then open their restaurant for evening service in the current Tech Room at the school. This experience will be very similar in format to what you see on television where chefs compete in teams to open a viable restaurant concept. The funds raised will allow the students to transform the current space representative of their concept for the pop-up restaurant week. They will be allowed to design and build everything from layout, decorations, menus, wall covering, table settings, etc. to support their concept. Your donation allows the students to have the resources to make their ideas come to life! You get to experience this first hand with your gift. 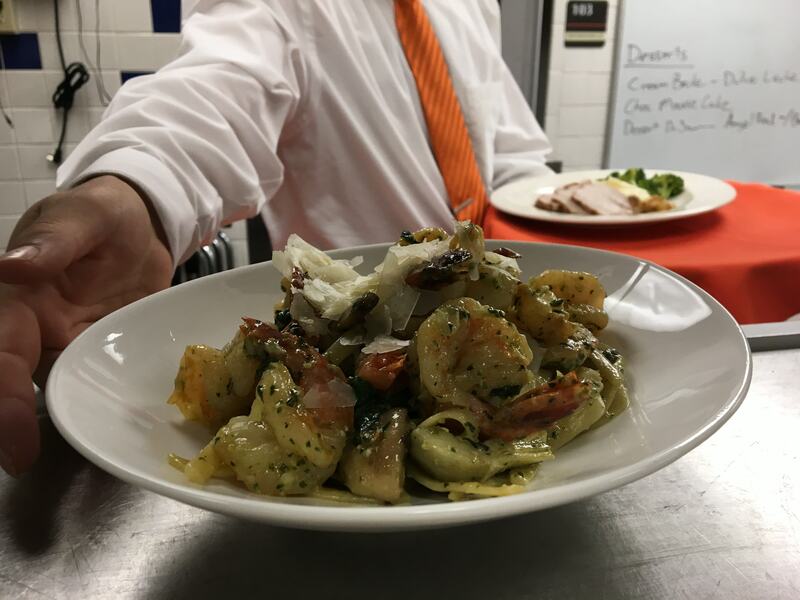 There are many different perks that allow you to enjoy the experience and ensures your reservation to the dinner service! Gifts to this project through the OSU Foundation, a 501(c)(3) organization, are tax deductible as allowed by law. The IRS requires us to inform you the extent to which your gift for this event is tax deductible. The fair market value of benefits you will receive is listed within each level; therefore the amount of your gift greater than the benefit amount listed may be considered tax deductible. If you have questions about your gift, please contact the OSU Foundation at 800.622.4678. All donors will be listed on the back of the menu during "Restaurant Week"